You are here: Home » Women Cricket » Women’s World Cup is round the corner! Women’s World Cup is round the corner! 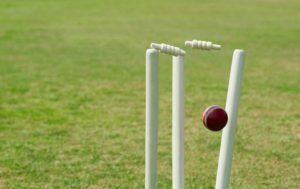 The bunch of 15 selected Indian women cricketers for the upcoming Women’s World Cup 2005 would have great responsibilities as the survival of Women’s Cricket in India rests on them. 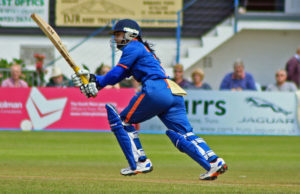 I came across Cricketfundas.com while surfing the net and to my utter astonishment I happened to read an article written by my friend Gargi Banerji on Women’s Cricket. It was really very heartening to know that some one indeed was writing on women’s cricket. Hats off to www.cricketfundas.com for providing information on cricket on domestic as well as International level. Very few would know that Gargi Banerji taught me how to bat. In my cricketing career I never had this opportunity of talking about it. Suddenly I find this kind of exposure, which is really great. Women’s cricket in India has a history. Greats like Diana Eduljee, Gargi Banerji, Shanta Rangaswami, and Shubhangi Kulkarni… were all the names to reckon with and as youngsters looked upto them and got aspired to play for India I think women’s cricket is in its survival stage as it was always been. One institution that has been helping the cause has undoubtedly been Indian Railways. Indian Railways by offering jobs to women cricketers has given us financial security. Diana Eduljee has to be thanked and appreciated for this because she was instrumental in forming teams at Zonal Levels in Railways. The Women’s Cricket World Cup is round the corner in March 05 in South Africa. Not much is being heard about the preparation camps. I think the selection would depend upon performance during the Australian tour of India in November-December this year. Now this is going to be a great platform for all the players to get in form for the World Cup. I feel India should have a foreign tour before the World Cup so that there would be a quick assessment of game plans, which would require execution in South Africa. If our girls perform well in the World Cup, women’s cricket could be marketed in India. So in a way victory in this World Cup can bring about transition in the game, which is very crucial at this stage.